Supplier & Manufacturer of Exhaust Dyes & Reactive High Exhaust Dyes. 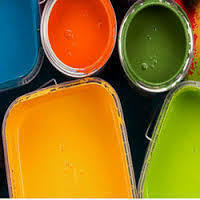 Our product range also comprises of Reactive Dyes, Acid Dyes and Direct Dyes. 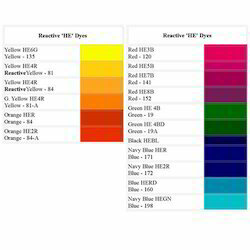 We have in store for our clients a wide gamut of Reactive High Exhaust Dyes which find applications in various industries.These dyes are formulated using Monochloro Triazine group of dyes procured from trustworthy vendors of the market.Our clients can avail these dyes at affordable rates. Exhaust dyeing of knitted fabrics at high temperatures of around 80-85 C.
We manufacture optimum quality reactive high exhaust dyes which are highly apt for the dyeing purpose of cellulosic and other cotton materials. We stand a bit above the traditional dyes because of the higher fixation and exhaustion efficiency of the dyes which reduces the cost involved appreciably. Looking for Exhaust Dyes ?